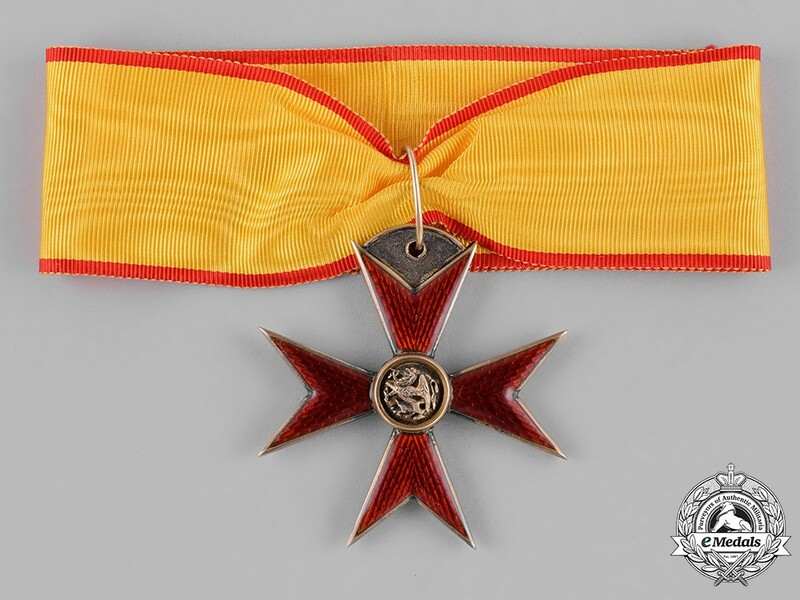 (Greifenorden Komturkreuz). Instituted by Duke Frederick Francis IV on 15 September 1884. (1884-1918 Issue). 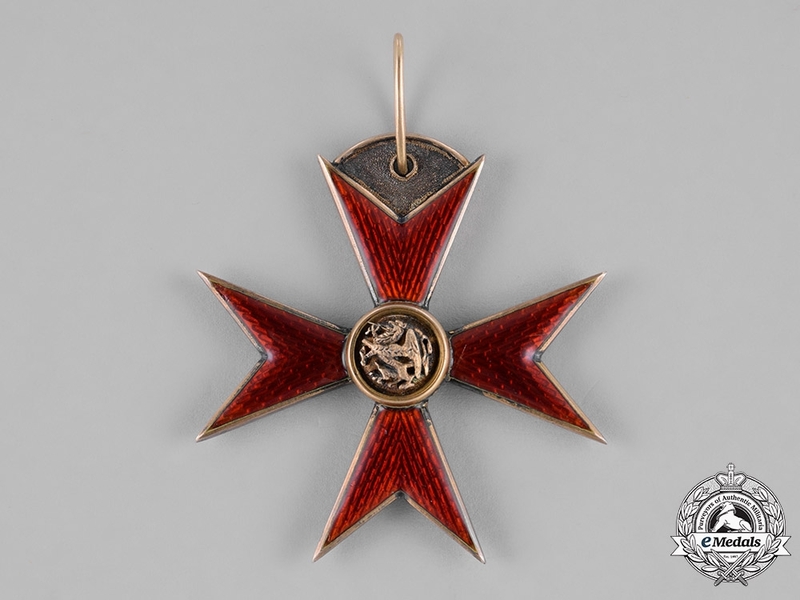 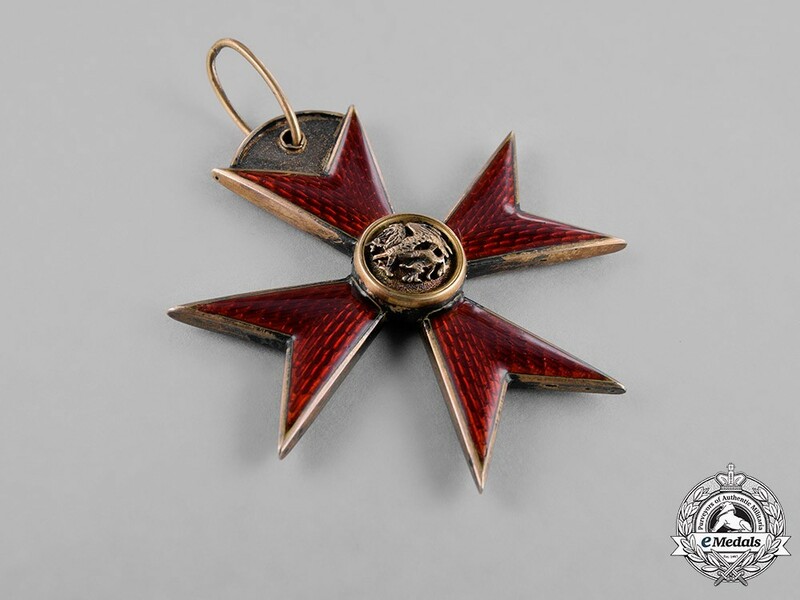 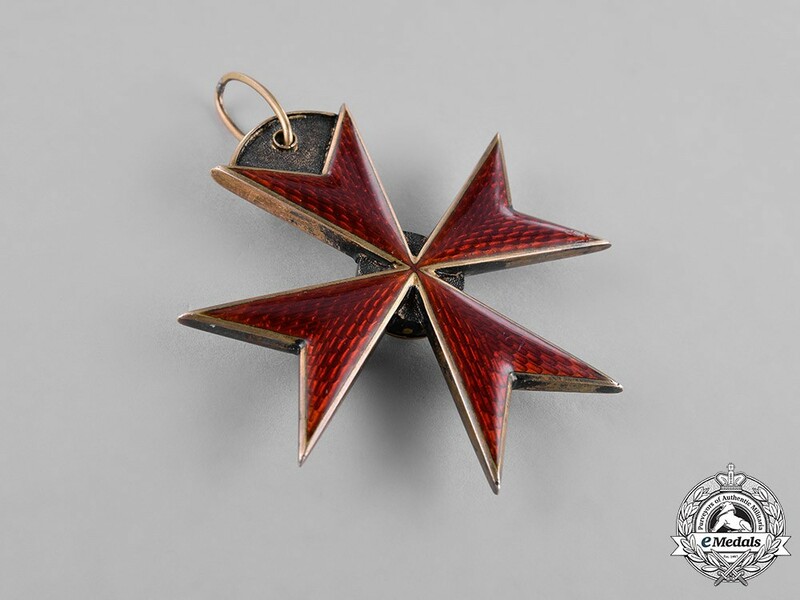 A silver gilt Maltese Cross with red enameled arms, the obverse with a round central silver gilt medallion depicting a raised Griffin, the reverse plain with red enamels on the arms of the cross, on loop for suspension from its period original neck ribbon, unmarked, measuring 61.70 mm (w) x 64.06 mm (h), weighing 32.4 grams, in extremely fine condition.